The Vespasia project was created and is managed by Vincenzo and Federico Bianconi, the latest generation of a family of passionate restaurateurs, with a tradition that began without interruption since 1850. A tribute to this land and its immense gastronomic riches. 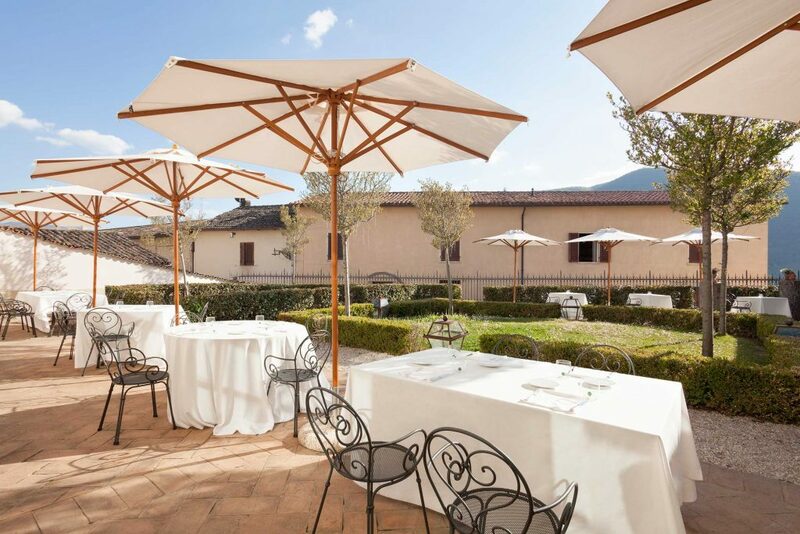 The Vespasia restaurant is located in the Relais & Châteaux Palazzo Seneca, in a noble palace of 1500, in the artistic heart of Norcia, a few steps from the main square of San Benedetto. 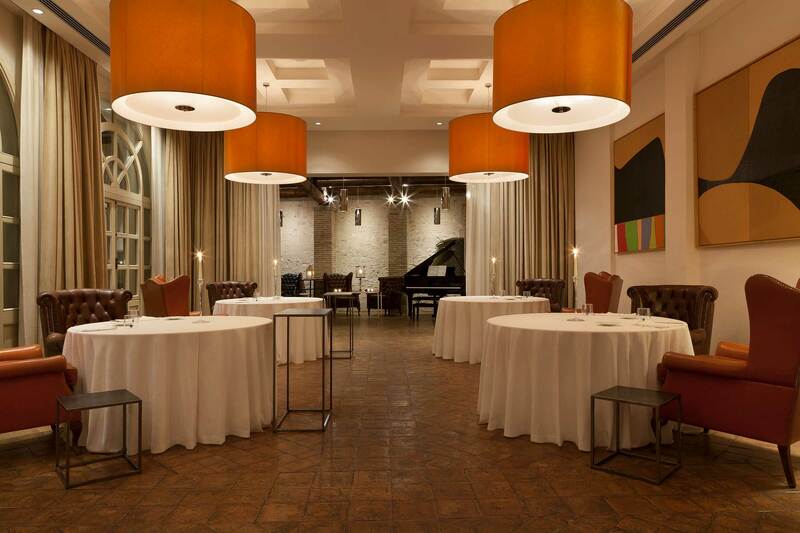 The Vespasia restaurant conveys harmony, quietness. Here innovation meets tradition treating it with respect as a child must have with a father. Everything at Vespasia tells this land, style, colors and flavors are sober but at the same time intense. The details always make the difference, for this they have been treated with great love and attention. 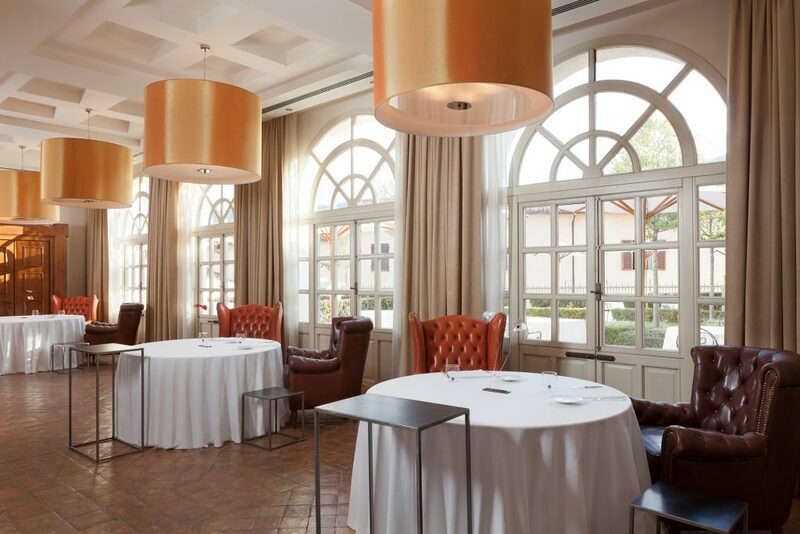 At Vespasia the guest can also choose his seat, including comfortable upholstered wooden chairs or large leather armchairs, both made by Umbrian master craftsmen. The table can be in the intimate “black” fireplace room, among wines, candles and wooden furniture, or between the lemon-house and the old stable that overlook the internal garden. When the season allows it you can eat outside where, in addition to tranquility, you can appreciate the views of towers, bell towers and, in the distance, the Sibillini mountains. The aroma of aromatic herbs from the garden completes a location of absolute quality. In the evening the Vespasia restaurant expresses its maximum charm, all the candles light up, the lights go down, the uniformed staff checks that everything is perfect, it goes on stage! The silverware, the crystal glasses and the white tablecloth are getting ready to go into the background. Soon the dishes will be prepared by Chef Valentino Palmisano and his staff, the real protagonists in the Vespasia restaurant. In the recipes of Vespasia there is elegance, research, tradition, creativity and a lot of professional ethics. Colors, aromas and flavors want to transport those who taste them on a journey to discover this land, full of exceptional products, great history, sobriety and love for good and healthy things. All this to make this evening memorable.